China and Japan have more common interests and should share the responsibility of maintaining regional stability and prosperity at a time when free trade and multilateralism face challenges, experts noted amid Japanese Foreign Minister Taro Kono's visit to Beijing. Kono co-hosted the fifth China-Japan high-level economic talks with Chinese State Councilor and Foreign Minister Wang Yi on Sunday. This is the first time the talks were held in Beijing in almost a decade, after the two sides resumed the dialogue in 2018 after an eight-year hiatus. Kono led a delegation comprising five other ministers, including Japan's industry, farm, transport, environment and regulatory reform ministers. Analysts said the talks are significant when China and Japan have more common interests, as both face mounting pressure from US unilateralism and protectionism. 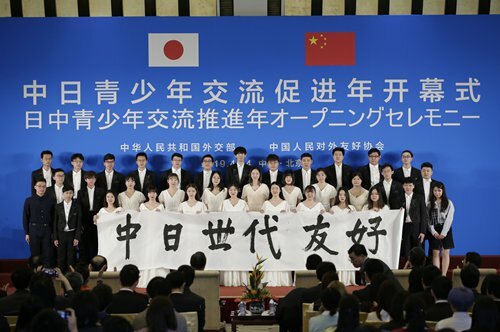 Lü Yaodong, director of the Chinese Academy of Social Sciences' Institute of Japanese Studies, told the Global Times that Japan needs to strengthen its cooperation with China amid Tokyo's trade talks with Washington, which may not run smoothly. As the second- and third-largest economies in the world, China and Japan have a responsibility to cooperate and maintain regional and global prosperity, Lü said on Sunday. Wang Shaopu, a Japan scholar at Shanghai Jiao Tong University, agreed with Lü, saying that the Trump administration's "America First" policy has contributed to Japan's change in attitude toward cooperation with China in third-party markets and the Belt and Road Initiative (BRI). Toshihiro Nikai, secretary-general of the ruling Liberal Democratic Party, will visit China from April 24 to 29 as a special envoy of Japanese Prime Minister Shinzo Abe to attend the second Belt and Road Forum for International Cooperation. He is also planning to meet with President Xi Jinping and present him a letter from Abe, the Japan Times reported on Saturday. But Yoshikazu Kato, adjunct associate professor of the Asia Global Institute of the University of Hong Kong, told the Global Times on Sunday that the Japan-US alliance would always be the "cornerstone" of Japan's foreign policy. It is incorrect to regard active Japan-China exchanges as Japan deviating from the US, he said. Kato said that Japan supports BRI generally but will weigh carefully on specific projects. "Joint projects in third-party markets will be a feasible approach for Japan-China economic cooperation," he said, citing projects in Thailand as an example. China and Japan agreed on cooperation in a series of infrastructure projects for Thailand's Eastern Economic Corridor. The three sides held a meeting on April 2 to discuss progress, according to the China Council for the Promotion of International Trade. Progress in the BRI cannot be ignored, and Japan does not want to lose out on any opportunities, Wang told the Global Times, noting that the two sides can cooperate in Southeast Asia and Africa. "Japan has shown increasing interest in the latter," he said. China can offer its construction expertise and technology, while Japan has abundant experience in management accumulated from its official development assistance projects, Wang said, noting the two sides have a basis for cooperation. Intellectual property rights (IPR) is expected to top the agenda and China may ask Japan to reconsider its exclusion of telecom company Huawei from government procurement contracts, Japan's Mainichi News reported on Saturday. But experts pointed out that the two sides can overcome disputes on IPR and forced technology transfer. Japan's exclusion of Chinese telecom companies like Huawei is more to do with the US attempting to contain Chinese technological development than Japan's own appeal. IPR disputes exist because China, as a latecomer in the global economy, had relatively loose regulations, but China has been making a lot of efforts to conform to international consensus on the issue, Wang noted, citing the Foreign Investment Law adopted during this year's two sessions. From draft to the final version, one amendment included stronger language on protecting foreign firms' IPR, replacing a phrase about encouraging technology cooperation based on a volunteering principle and commercial rules, with one that states there will be strict legal action against IPR infringement. There have always been disputes and unstable elements in China-Japan relations, including territorial disputes, but of late, frequent exchanges signal that the trend of an improvement in bilateral ties will continue, said Liu Jiangyong, vice dean of the Institute of Modern International Relations at Tsinghua University. There will be more exchanges in the following months, as Chinese President Xi Jinping is scheduled to attend the G20 summit in June in Osaka, and is likely to pay a state visit to the country, Liu told the Global Times.